NASA has been grabbing headlines recently with their potentially game-changing emDrive propulsion system. The emDrive has generated a lot of discussion, and a lot of controversy too. 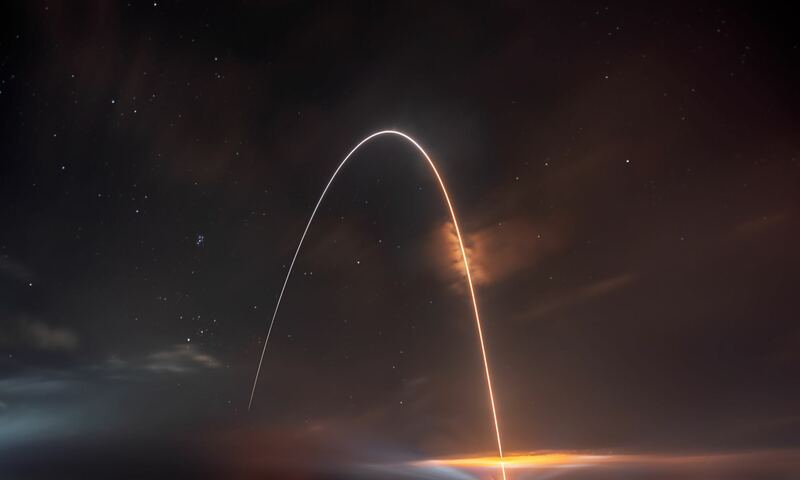 But NASA has a lot more going on than futuristic space travel designs, and one recent test flight showed that the minds at NASA are still working on innovative designs for flight systems that operate in Earth’s atmosphere. The Greased Lightning 10, or GL10, is a remotely piloted, ten engine aircraft that can take off and land vertically, and then rotate its wings for forward flight. This type of system has been developed before in full size, piloted aircraft like the V22 Osprey, but it’s never been done before in a small, remotely-piloted aircraft. There have been 12 prototypes of the GL10 so far. The first was a simple foam model that weighed five pounds. The current GL10 is a high quality, carbon fiber model weighing 55 pounds, and was built by NASA’s expert technicians. “Each prototype helped us answer technical questions while keeping costs down. We did lose some of the early prototypes to ‘hard landings’ as we learned how to configure the flight control system. But we discovered something from each loss and were able to keep moving forward,” said aerospace engineer David North. The NASA team is continuing to work on the GL10. They hope to confirm its aerodynamic efficiency, and to further refine its control system. “Remotely piloted aircraft are enhancing NASA science investigations and serve as a platform to expand technology development for aircraft, cubesats and other platforms,” said NASA official Mike Hitch. The GL10 will be on display from May 4th to 7th, at the Association for Unmanned Vehicles Systems International 2015 conference in Atlanta. The emDrive reference is just comment bait, right?